Branson, Missouri – – After 30 years of providing family entertainment to local residents and area visitors, The Track Family Fun Parks has decided to celebrate by reinvesting almost three million dollars in its facilities. Construction is underway in a two-facility capital upgrade that will be completed in the spring of 2011. Track 4 (3345 W. Hwy. 76) will feature a new high-rise go-kart track constructed of steel and concrete that rises 40 feet in the air. Track 3 (2505 W. Hwy. 76) will take on a new look with additional go-kart tracks as well as an expanded building that will offer greater flexibility in indoor activity. President/Owner of The Track Family Fun Parks. “We have not built a new major attraction at our facilities since 2002, and we feel like this is a great year for it. We are in the family fun business, and the addition of these attractions will provide an enhanced experience for our guests,” Schmitt added. The new high-rise go-kart track at Track 4 will be the latest addition to The Track’s high-rise family. The LumberJack at Track 5 and Wild Woody at Track 3 were built in 2001 and 2002, respectively. The new track’s state of the art steel and concrete construction will be more weather-friendly and will offer all the high-rise excitement of the other tracks. “These capital projects should definitely have a positive impact on our business, but we feel like this reinvestment on Hwy. 76 will be a benefit for the entire community,” Schmitt said. Parks will provide more details about the new projects at the beginning of 2011. Contact Craig Wescott at (417) 334-1612 ext. 13 or visit www.bransontracks.com for more information. On the website, follow the progress of the construction on The Track’s new network of live interactive webcams. 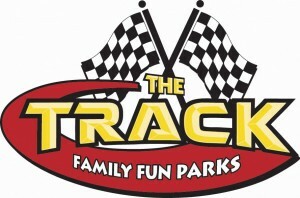 The Track Family Fun Parks started entertaining local and visiting families in 1981. The four Branson, Missouri locations offer high-rise and classic go-kart tracks for all ages, bumper boats/cars, laser tag, mini golf, kids’ rides, arcades, and more with no gate admission charge. Branson, MO – (Tuesday, September 22, 2010) – Saturday, October 2, 2010, will be the night to “Party with The Stars”. The party begins at 9:00pm at the Chateau on the Lake Resort. The League of Branson Theatre Owners & Show Producers (The Branson Show League) invite the public and everyone who lives and/or works in Taney or Stone County to join us as we “Celebrate 50 Years of Live Music Shows and Family Fun with Shepherd of the Hills and Silver Dollar City”…and the people who made it all possible! For complete details go to www.PartyWithTheStars.com. Party events include live band, hors d’oeuvres, red carpet event hosted by Branson’s own Joan Rivers (aka Terry Sanders), silent auction, special presentations, appearances from Branson favorites, cash beverage bar, and games including Branson-style Karaoke, Dance Contest, Guitar Hero competitions, Wii, party poker tables, and more. “We’re planning on kicking back and kicking up our heels, just having a great community party and fun with each other.” says Cindy Merry, Marketing Consultant and Branson Show League board member & Marketing Chair. In order to help defray the costs for the party there is a minimum donation requested. For those living and/or working in Taney or Stone County the donation is $15 at the door HOWEVER you can donate $9.95 per person now on line at www.PartyWithTheStars.com or call 417-334-8287. (General admission is $29.99). Join the Branson Show League for a great evening of Ozarks fun; go to www.PartyWithTheStars.com. Branson, MO (September 22, 2010)- Since 1950, when Skaggs Regional Medical Center opened its doors, safety of the community and its patients has been top priority. Starting 13 years ago Skaggs introduced to Taney and Stone Counties drive-thru flu shot clinics. * Forsyth Medical Care, 13852 U.S. Hwy 160; Friday, October 8, 10 a.m. to 2 p.m.
* Branson West Medical Care, 18452 State Hwy 13; Wednesday, October 13, 10 a.m. to 2 p.m.
* Skaggs Southside Family Clinic, 590 Birch Rd., Suite 1-C, Hollister; Thursday, October 28, 10 a.m. to 2 p.m.
Skaggs clinics will also have ample supply of influenza vaccine to offer their patients. Call your primary care provider to schedule an appointment. Influenza (the flu) is a contagious respiratory illness caused by influenza viruses, according to the Center for Disease Control and Prevention. It can cause mild to severe illness, and at times can lead to death. Some people, such as older people, young children, and people with certain health conditions, are at high risk for serious flu complications. The best way to prevent the flu is by getting vaccinated each year. In 2009-2010, a new and very different flu virus, called 2009 H1N1, spread worldwide causing the first flu pandemic in more than 40 years. During the 2010-2011 flu season, the CDC expects the 2009 H1N1 virus to cause illness again along with other influenza viruses. The 2010-2011 flu vaccine will protect against 2009 H1N1 and two other influenza viruses. This flu season the CDC recommends everyone six months and older should get a flu vaccine each year starting with the 2010-2011 influenza season. While everyone should get a flu vaccine each flu season, it’s especially important that certain people get vaccinated either because they are at high risk of having serious flu-related complications or because they live or care for people at high risk for developing flu-related complications. This group includes children younger than 5, but especially children younger than 2 years old; adults 65 years of age and older; pregnant women; and anyone who may have a chronic medical condition. Individuals who should not be vaccinated without first consulting a physician include people who have a severe allergy to chicken eggs; people who have had a severe reaction to an influenza vaccination in the past; people who developed Guillian-Barre’ syndrome (GBS) within six weeks of getting an influenza vaccine previously; children younger than six months of age (influenza vaccine is not approved for use in this age group); and people who have a moderate or severe illness with a fever should wait to get vaccinated until their symptoms lessen. Tickets are available at the gate. Admission is $5.00 per day or $8.00 for both days. Children 12 and under are free with an adult. Saturday hours: 10:00 a.m. to 6:00 p.m.
Sunday hours: 10:00 a.m. to 4:00 p.m. Guests include: Famed Disney artist Kent Melton who will be on hand to demonstrate the art of faerie sculpting. Red Hot & Blue – Area Appreciation! The Americana Theatre announces Area Appreciation September 22 – October 17, 2010 for only $7 plus tax. Call for information and show times, or visit us on the web! Red, Hot and Blue! 40’s, 50’s, 60’s, 70’s! An Exhilarating Experience! 12 person cast with ALL LIVE BAND! 15th Smash Season and Voted….Awarded BEST morning Show, BEST Costumes, BEST Vocal & Dance Group! The incredibly talented cast of Red, Hot and Blue sing and dance their hearts out in this high energy, beautifully costumed production show, featuring the timeless melodies you will love reminiscing to! You’ll be transported on a nostalgic journey through the Big Band Era of the 40’s, the Rockin’ 50’s, the eclectic 60’s, the disco flash of the 70’s and of course, you’ll experience an All American salute to our veterans! Hold onto your hats and get ready for the ride of your life! 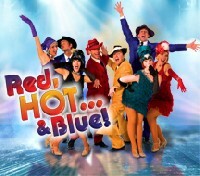 The cast of Red, Hot and Blue has been consistently recognized as the highest energy show in Branson! When the curtain goes up, you’ll immediately know why! As anticipated, with a new season and a new location, audiences will enjoy brand new, exciting production numbers. This action packed show also features a LIVE BAND that is sure to be a crowd favorite! Red, Hot and Blue, appeals to golden agers, families, baby boomers, children of all ages, and the young at heart as well! Don’t miss it! Performances are at 10 AM with select 2 PM shows at the newly remodeled, state of the art, Americana Theatre, located directly across from The Presleys’ Jubilee on the Strip! 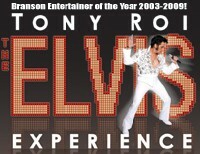 Tony Roi The Elvis Experience – Area Appreciation! The Americana Theatre proudly announces Area Appreciation September 22-October 16 2010, for only $7.00 plus tax. Please call for information and show times. 13th SMASH SEASON AND VOTED…BRANSON MISSOURI ENTERTAINER OF THE YEAR 2003, 2004, 2005, 2006 2007 AND 2008!!! Tony Roi’s Elvis experience is HOT!! BMG recording artist Tony Roi has the look, the voice and the moves that made Elvis the King of Rock ‘N Roll! This powerhouse entertainer offers an authentic showcase of Elvis Presley hits that is unparalleled, ANYWHERE! By popular demand, just for his fans, Tony also performs incredible songs from other artists that Elvis influenced. Tony Roi has created a truly unique show that’s the most unbelievable tribute to the King of Rock ‘n Roll you’ll EVER witness! Backed by the hottest six piece band in Branson, Tony delivers the show that will rock your socks off! It’s one of the most incredible shows to hit the Branson stage, EVER! Experience 3 decades of Elvis’ smash hits! Tony Roi is ALL Elvis ALL the time! Performances are at 2 PM with select 8 PM shows at the newly remodeled, state of the art, Americana Theatre, located directly across from The Presleys’ Jubilee on the Strip! 3 & 8 p.m. shows. Come relax with Marilyn Monroe’s sultry comedy, listen to George Strait’s number one hits and hear the harmonies of The Temptations in a show that is sure to bring you to your feet! The energy and charisma of two locally known talents, Bucky Heard and Justin Clark, combine for an all-out good time in their highly entertaining Blues Brothers performance. They are mainstays at the Legends In Concert show along with Elvis Presley. Portrayed by Dean Z, this act is sure to bring you a Rock-A-Billy good time! Don’t miss this awesome autumn line-up during our area appreciation on Sept. 24, 25 and 26! Proof of residency or employment required at time of purchase. Tickets available day of show only and can be purchased at the Legends Box Office. 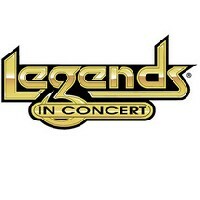 Show times are 3 & 8 p.m. For more information, call 417-335-STAR or visit www.legendsinconcert.com. •	Kids Kountry passes are $5.00 for 1 hour. The Backpack Club provides a backpack of nutritious food for children who have shown signs of hunger outside of the school meal program. Children receive the food each weekend during the school year. The Christmas Share program will provide customized assistance to approximately 30 families in need during the winter months. Michael Bolton – 1 Night Only! Starting Monday, September 20th tune into ABC “Dancing With The Stars” to follow Michael Bolton & Chelsie Hightower on the road to success to become the next Mirror Ball Trophy winner! Michael Bolton will be live in concert, at The Mansion, on October 23rd at 8 pm. Please call the box office today for best available seating (417) 239-1333. Michael Bolton’s accomplishments include selling more than 53 million records, winning multiple Grammys for Best Male Vocalist and countless other honors, earning a star on Hollywood’s Walk of Fame, and selling out arenas worldwide. Other major career highlights include singing with Luciano Pavarotti and Ray Charles, writing songs with Bob Dylan, Ne-Yo and Lady Gaga, penning hits for Barbra Streisand and KISS and playing guitar with B.B. King. However, perhaps nothing is more important to Bolton than his foundation, The Michael Bolton Charities, Inc. Based in his home state of Connecticut; The MBC has dispersed over $6 million in grants to various organizations that support children and women at risk of poverty, abuse, neglect, homelessness and domestic violence.